What an important reminder that youth ministry is happening beyond our own little circle, our town, our state, and even our country! This is a global thing, and people need to know Christ! Dustin Sams is now in Germany, and will be speaking for “Teenagerfeizeit Rehe 2011”. Dustin will be there from July 21st – August 1st. He is bringing the Word to teenagers throughout the week by way of a translator. This is an exciting opportunity to share Christ with teens and young adults who desperately need to know Him. This will also be a great way to inspire those in Germany and introduce new and exciting ways of doing youth ministry. 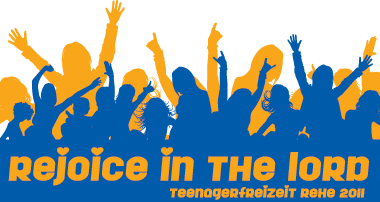 While teaching at “Teenagerfeizeit Rehe 2011”, Dustin will also be speaking a few times at a local church, and meeting with other student ministry leaders to “brainstorm” youth ministry ideas. Through this they will be able to share ideas with each other, gaining insight about what is and isn’t working. As any youth pastor knows, building relationships and sharing knowledge with other youth pastors is invaluable. There is so much to learn from each other. With all of this exciting news, lets take a moment to pray for Dustin as he speaks to these teenagers and young adults. Pray that what he speaks will be translated clearly and accurately, and that the Holy Spirit will be the author. Pray that the students will be receptive to the Word and that lives will be forever changed, that they will become new creations. Lets also pray for the area youth pastors in Germany, that through meeting with Dustin, they will gain insight about how to better reach their students. Lastly, pray that though these youth pastors are in Germany, relationships will be built, giving us new people to share our passion and ministry with. Stay tuned for more updates as Christ speaks through Dustin, and lives are changed in Germany! If you’re on the site already, simply click the “Posts” RSS button in the top right corner of the page. FeedBurner is reliable, and will allow us to keep track of what you’re actually reading vs. what you’re not. Thanks for subscribing to http://www.dustinsams.com! With so many social networking sites out there, a person can easily become overloaded with alerts, requests etc. Anymore, it is just not reasonable to go to each separate site, several times a day and keep up with those who found a “lonely pink cow” on their farm (You know who you are). With that said, I still believe that online engagement is critical in the church today, especially in the youth ministry field. Lucky for us, tools have been developed to aid in keeping up with all of the feeds, streams, statuses, tweets, posts, etc. The only decision is; which one do I use? Hopefully by giving you a little insite on some of the more popular “all in one” social networking applications, you can make a decision and free up some time in your day to do other things, or become even more involved with your online communities. >We will be focusing on 4 of the more popular clients that engage in all or some of the following communities: “Facebook“, “Twitter“, “MySpace“, and “LinkedIn“. Sure there are other networks out there, but these are more prominent today. This is one of my favorite clients for managing all of my social networks. It is “Adobe Air” based, so you have to have “Adobe Air” installed to run it. You can download that here. This is a good thing because “Adobe Air” applications are multi-platform capable (You can run it on Windows, Mac, or Linux). “Seesmic Desktop” currently integrates with Facebook, and Twitter however, having just aquired “Ping.fm“, integration to over 50 social networking sites is soon to come. If you are on a Windows platform, you might look into “Seesmic for Windows“. It currently integrates with Twitter but is only in beta. There is more integration to come, and it is a native windows application. Performance is good, and the UI is fantastic. If you’re not interested in installing an application, Seesmic offers a web app that is currently integrated with Twitter only. It is quite nice. Seesmic does have a mobile app available for Blackberry, and Android devices. Tweetdeck is another great client. It is also “Adobe Air” based. Tweetdeck currently integrates with Facebook, Twitter, MySpace and LinkedIn. Naturally the more integration that you have, the more bloated that the app can feel. However, I think that they have done a great job not “overcrowding” the interface. It runs well, and has tons of features. If you check all of the sites mentioned above regularly, you might want to give it a shot. Tweetdeck does have a mobile app available for iPhone. DestroyTwitter is an app for the Twitter “PowerUser”. If you are a beginner in the client world for managing your social networks, I would probably look at others first. Like the others, this app is Adobe Air based. It supports multiple columns. It’s integration is limited to Twitter, so if your’re looking to manage multiple social networks, this app is not for you. However, it does what it is intended, and runs smoothly. PeopleBrowser is the one stop shop for the information junkie. It supports many social networks. It is personally too much for me. The interface can seem a bit crowded and response time is sometimes slow. However, it can provide a wealth of information on trending topics, and what is happing in the social world. PeopleBrowser provides a multi column web interface that is authenticated via your Twitter, Facebook or PeopleBrowser account. There is also an Adobe Air application that you can download after logging into the web interface. What do you use to manage your social networks? Let us know! I subscribe to many RSS feeds, and this site was one of the updates that I read about today. There is a new “Social Site” available for Youth Ministry. It is http://youthministry.ws. YouthMinistry.ws was created by Steve Blanchard. He is the author of the “Youth Ministry Ideas” blog. This is the intro video that is on the front page of their site. If you are a social junky, I would encourage your to sign up and give it a shot. It is brand new, so the more the merrier. I don’t think there can be to many free tools/resources for Youth Ministry, do you? Have you heard of YouVersion? If not, let me go ahead and fill you in. As quoted on their site. LifeChurch.tv began in 1996. They are the author of YouVersion.com which went live in mid 2007. There are many online Bible’s out there that are sadly “Plain Vanilla” search boxes. YouVersion is different. Not only is the web interface attractive, and smooth, the app is cram packed with collaboration features. Take a look at some of these for instance. 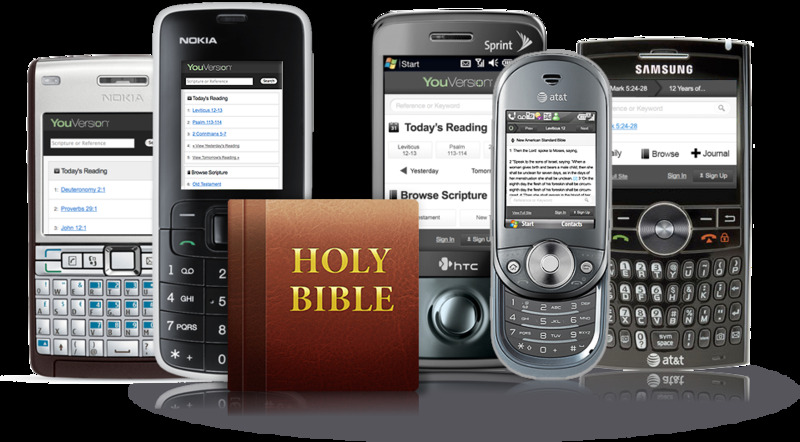 Ability to search the bible by simply typing in a “Reference” or “Keyword”. 40 different translations in 22 languages. Ability to compare different translations side by side. Ability to play via “Audio”. 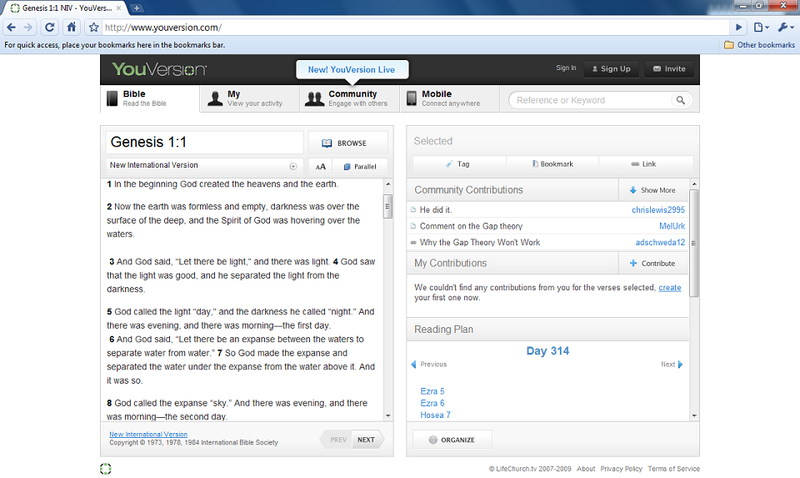 Contribute and comment on verses or sections of scripture, or read contributions from others. Tag, bookmark, or link verses or sections of scripture. The One-Year Reading Plan provides daily selections to keep you on track when you’re on the go. The site is completely mobile friendly, so take it with you! Did I mention that there is and “app” for that? This app is rich, feature packed, and constantly improving. If you want to know all that it can do for you, you will have to check it out for yourself. What an awesome way to use technology to spend time with our more than worthy Creator. Not to mention a fun way to dive in the Word. As I get time, I will blog about the new ability of YouVersion called “YouVersion Live“. But for now, this should keep you busy. I’ve included some screenshots and videos below that I have gathered to give you a taste. For as long as I have known Dustin, I can’t think of many times that I have seen him without a beverage of choice in hand. Dustin’s beverage of choice? That’s right, every man has one. What is Dustin’s you ask? Well of course, no other than Mountain Dew! So, without further a “dew”, I give you the one post that this blog can’t do without. 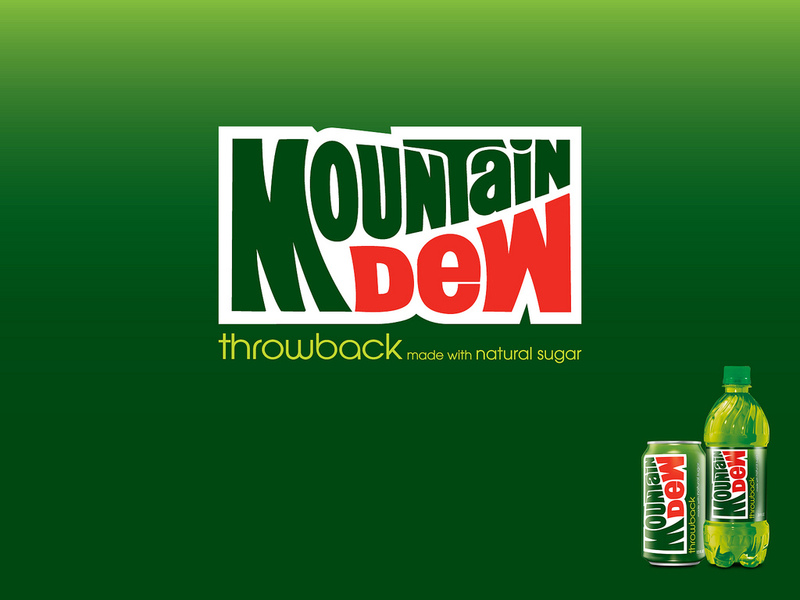 “Mountain Dew – The throwback made with natural sugar”.